Cultivated, unostentatious appearance. 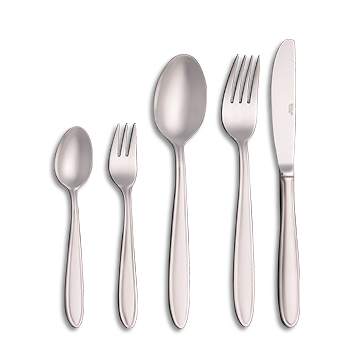 The Gault Millau of classic cutlery design adds an everyday touch of elegance. The Pronto's discreet yet striking appearance flatters any table decoration and its no-nonsense design adds to the ambiance of any table. A cutlery series guaranteed to light up any dinner table year after year.